Labuntsovite-Fe: Mineral information, data and localities. 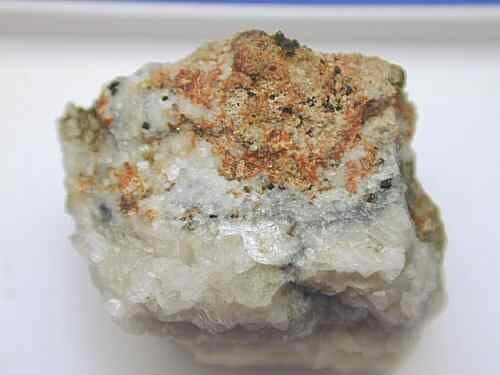 This page provides mineralogical data about Labuntsovite-Fe. Labuntsovite-Mg Na4K4(Ba,K)2Mg(Ti,Nb)8(Si4O12)4(O,OH)8 · 10H2O Mon. Labuntsovite-Mn Na4K4(Ba,K)2Mn2+(Ti,Nb)8(Si4O12)4(O,OH)8 · 10-12H2O Mon. Neskevaaraite-Fe 1 photo of Labuntsovite-Fe associated with Neskevaaraite-Fe on mindat.org. Aegirine 1 photo of Labuntsovite-Fe associated with Aegirine on mindat.org. Khomyakov, A.P., Nechelyustov, G.N., Ferraris, G., Gula, A., & Ivaldi, G. (2001): Labuntsovite-Fe, Na4K4(Ba,K)2(Fe,Mg,Mn)1+xTi8(Si4O12)4(O,OH)8 10H2O and labuntsovite-Mg, Na4K4(Ba,K)2(Mg,Fe)1+xTi8(Si4O12)4(O,OH)8 10H2O - two new labuntsovite group minerals from Khibiny and Kovdor alkaline massifs, Kola Peninsula. Zapiski Vserossiyskogo Mineralogicheskogo Obshchestva, 130, No.4, 36-45 (in Russian with English abstract). Chukanov, N.V., Pekov, I.V. &Khomyakov, A.P. 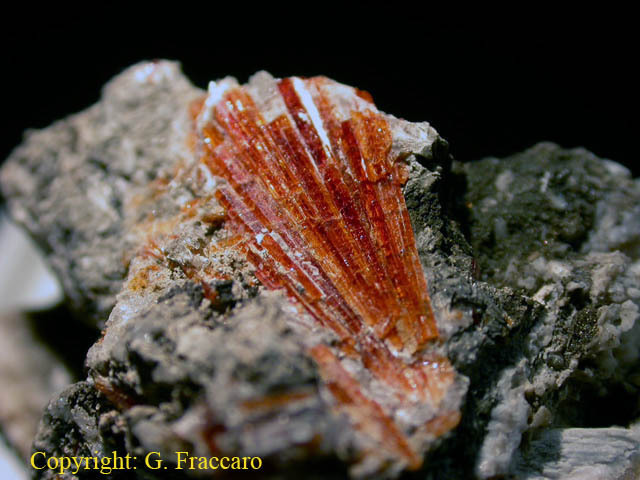 (2002): Recommended nomenclature for labuntsovite-group minerals. European Journal of Mineralogy, 14, 165-173. CHUKANOV, N.V., PEKOV, I.V., ZADOV, A.E., VOLOSHIN, A.V., SUBBOTIN, V.V., SOROKHTINA, N.V., RASTVETAEVA, R.K. & KRIVOVICHEV, S.V. 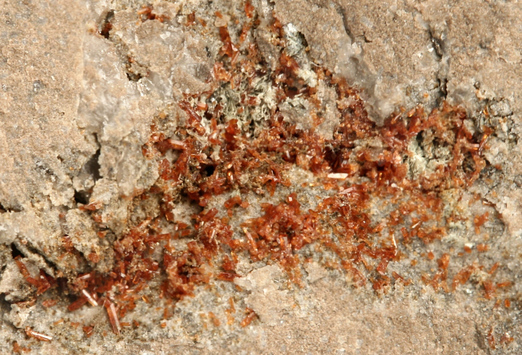 (2003): Minerals of the labuntsovite group. Nauka, Moscow, 323 p. (in Russian).